I'm learning to play a trumpet with guidance of a private teacher. He is busy person, so we have lesson once a fortnight. Train ear with app on my phone. It goes surprisingly good, in a few weeks I was able to recognize tones in major scale. I play in a small 'band' with guitar, bass and drums, we sometimes play 1 hour concerts in local bars. All four of us are in nearly the same level. If it is meaningful, I have really modest skills on guitar and bass guitar. Though I think it is not that important(though still important), whether you studied in some institution or by yourself, subjects that are taught in institutions are taught for some purpose and I feel like missing somthing. Also I would like to understand musicians better. So, what are the crucial parts of institutional musical education, which non-instituational learner misses and where can I get them by myself? Interaction with other musicians, whether as fellow-players in ensembles or as tutors. Constant goals - the concert is TOMORROW!, this exercise must be handed in NEXT WEEK! Competition - working with players better than you. And generally, getting a musical education instead of just learning to play the trumpet. Introduction to musical topics you would have never have thought of investigating yourself. Being encouraged to learn a second instrument, sing in a choir, get at least basic keyboard-playing skills (you'll find harmony and composition much easier if you can find your way around a keyboard). I assume when you say "institutional" you're strictly speaking about college/university, but you can take this advice even if you're not speaking at that level. Whatever you want to do with music, you can do without the necessity of a degree or validation, but it'll be a bit harder. What an institution will do is simply surround you with more musicians, more theory, and more playing than you normally would have teaching yourself. That in itself, however, doesn't guarantee success. ...My first attempt at music school was a failed one. With the beauty of Q&A forums like this, YouTube, and the internet in general, there's nothing you can't learn here that you can learn in an institution. If you have the will-power and ambition to learn about early 20th-century female jazz artists; you can. And you can do it on your own. But there may be a very specific jazz history course at a university that could also teach you that as well. There's plenty of crappy musicians I've met who have made it through music school with a piece of paper. There's plenty of amazing one's who couldn't pass it. The best thing about musical education institutions is the brotherhood/sisterhood it creates. It brings great musicians together, who in turn form lasting relationships and learn to play better because of it. This is something that, with enough aspiration, can be done by one's self. I cannot really agree with the idea of lessons every fortnight. I don't really agree with the sausage stuffer approach. If your teacher cannot be bother to even give you a half hour of his time on a weekly basis then I really contend the fact of whether he is worthy of YOUR time. I think that what conservatoire training provides is an completely immersive musical environment. You are basically doing some sort of musical activity for 8 hours a day for four years. This does not just include practicing although that is a big part of it. You do some history. You train your ears. You do some teaching subjects. All of this in the company of other musicians. So this training is immensely important for musicians that want to compete at the very highest levels. That being said it does have it's downsides. You can become very good in your music but the start reality is that unless you are truly one in a million not many people are going to care about what you do. You can easily spend most of your high school years trying to get into a good music school, achieve that goal and by the time you are done with college you cannot even pull a salary that compare to the people who did a 2 year IT course when they got out of high school. So in closing don't get too hung up on the issue of musical education. Get yourself a good teacher learn as much from him / her and just go from there. As I have said before on this site music is not a competition. Do your best to become the best musician you can with the time and money that is available to you and let the rest be. You really should have nothing to prove. When attending classes in an institution, classes usually go way beyond the basics of theory and pedagogy. For example, one might learn Western and Eastern music theory and other ways to layout music (ex. tonnets). The institutional approach (from my experience), is that it attempts to view music at a "higher level" (instead of just learning music theory and culture, you learn how to address the problems that arise within such theory and culture). Not all of it is practical, but can be useful for understanding where and how music fits into society and individuals minds. Not the answer you're looking for? Browse other questions tagged learning self-learning brass trumpet lessons or ask your own question. What are the advantages of learning to play on your own versus learning from a teacher? What brass band instruments can a cornet player feasibly cover on short notice? Does valve oil in the lead pipe of a trumpet prevent tarnishing? What Notes does Trumpet play? What does H.V. 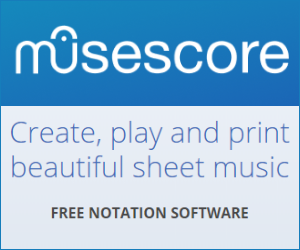 mean in music notation? What orchestral compositions have parts for Trumpet in H?